Polyurethane finishes do not contain the highly noxious chemical urethane, but are made of urethane polymers (such as polyethers and polyesters), chemical solvents and curing agents. 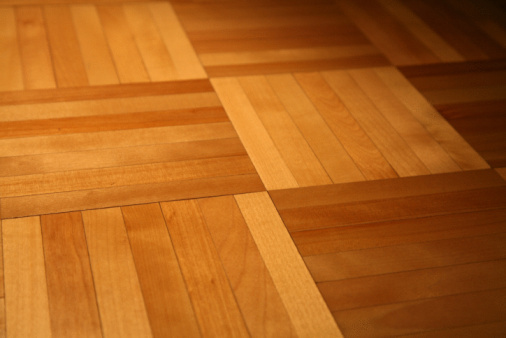 Clear polyurethane film finishes protect surfaces such as wood flooring and wood furniture. The shine on this wood may be a polyurethane finish. Polyurethane finishes are available in three types of sheen. High gloss polyurethane is an exterior/interior, tough, flexible, high-performance, heavy-duty, two-component finish that dries to a very shiny surface. Used primarily in industrial environments, this finish is recommended for covering prepared metal, such as iron and steel, galvanized steel and masonry surfaces, such as walls and both old and newly poured concrete. Semi-gloss polyurethane dries to a sheen that is between gloss and flat. Semi-gloss polyurethane can be found on woodwork, furniture, doors, floors and cabinets. It is applied with either bristle or foam brushes or a lamb's wool applicator. Fast-drying types usually dry within 24 hours. Satin polyurethane, a fast-drying, durable matte finish, gives wood a more subtle gloss while offering shine and a little additional color. Most people consider wipe-on the best way to apply polyurethane varnish when they desire a clear, thin coat. Bob Flexner, from Popular Woodworking Magazine, recommends the brush-on method using inexpensive, disposable bristle or foam brushes. He prefers foam brushes because they apply the finish well and can be tossed away when the job is finished, eliminating cleanup time. Although not as durable as an oil-based polyurethane finish, a water-based polyurethane finish is usually preferred because it is odorless and does not require as much ventilation when being applied. It dries quickly, cleans up with water and remains colorless. However, water-based polyurethane finish is more expensive than its oil-based counterpart. Chemicals in oil or solvent-based finish require a well-ventilated area when they are applied. One popular oil-based polyurethane finish is polyurethane varnish. This type of varnish is more durable and most protective by being more resistant to moisture, heat or solvents than other varnishes. This finish goes on clear, but ages into a nuance of amber and may yellow over time. It is exceptionally good for heavily used items.